WASHINGTON (AP) – The Trump administration won’t ban a common pesticide used on food, reversing efforts by the Obama administration to bar the chemical based on findings it could hinder development of children’s brains. In announcing the decision late Wednesday, Environmental Protection Agency Administrator Scott Pruitt said that by not banning chlorpyrifos, he was providing “regulatory certainty” to thousands of American farmers that rely on the pesticide. In approving the continued use of chlorpyrifos on citrus fruits, apples, cherries and other crops, Pruitt is overriding the scientific findings of his own agency’s experts. Pruitt, a Republican lawyer who took the lead at EPA last month, gave no indication of wha t process he used to determine chlorpyrifos is safe. Environmental groups accused Pruitt of putting the profits of big business over public safety. 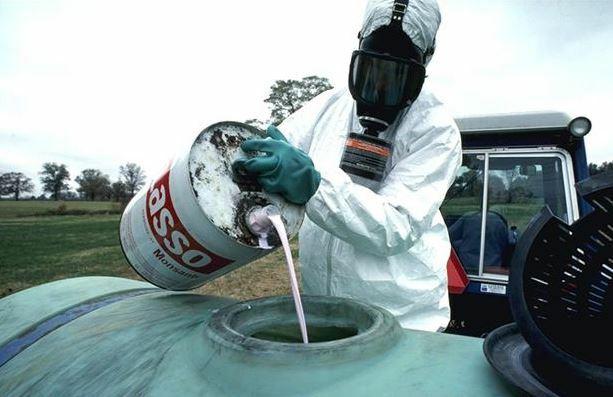 First developed as a chemical weapon prior to World War II, chlorpyrifos has been sold as a pesticide since 1965 and has been blamed for sickening dozens of farmworkers in recent years. Traces have been found in waterways, threatening fish, and experts say overuse could make targeted insects immune to the pesticide. Under pressure from federal regulators over safety concerns, Dow withdrew chlorpyrifos for use as a home insecticide in 2000. EPA also placed “no-spray” buffer zones around sensitive sites, such as schools, in 2012. EPA’s subsequent findings relied on three, peer-reviewed human health studies indicating that even minuscule amounts of chlorpyrifos, sold by Dow Chemical, can interfere with brain development of fetuses, infants and children. “There is a breadth of information available on the potential adverse neurodevelopmental effects in infants and children as a result of prenatal exposure to chlorpyrifos,” said a risk assessment memo issued in November by nine EPA scientists. The EPA said then that its analysis did not suggest risks from residual exposure to chlorpyrifos in food. But when those exposures are combined with estimated exposure from drinking water in certain watersheds, “EPA cannot conclude that the risk from aggregate exposure meets the Federal Food, Drug and Cosmetic Act safety standard,” it said. The Dow Chemical subsidiary that sells chlorpyrifos quickly issued a statement praising Pruitt’s decision.